The Pana Tri-County fair began Wednesday night at the Tri-County fair grounds. The main event on opening night was the Little Miss, Junior Miss, Teen, and Queen contest. The Little Miss 2nd runner up is Adalynn McDowell, 1st runner up is Reagan Blodgett, and Little Miss Pana Tri-County is Kenleee Durbin. 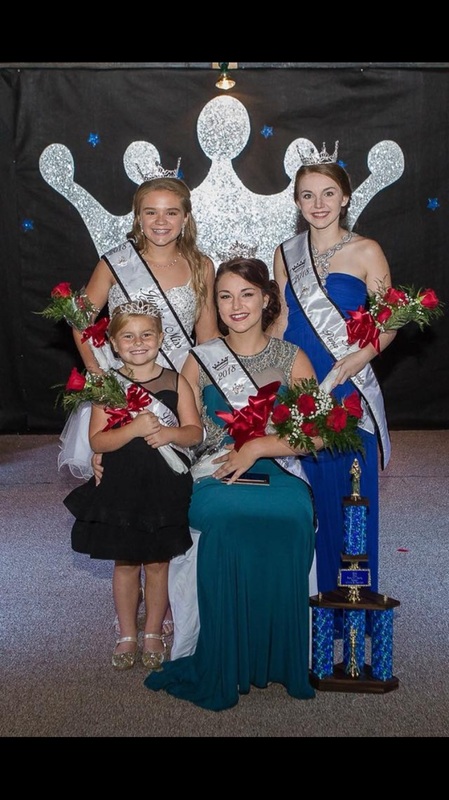 The Junior Miss 2nd runner up and congeniality is Ayda Coleman, the 1st runner up and peoples choice is Kylie Smith, and Junior Miss Pana Tri-County is Claire Kuhn. In the first ever Teen category, 2nd runner up is Trinity Shupe, 1st runner up and congeniality is Elizabeth Aymer, and Teen Miss Pana Tri-County is Lucille Kennedy. Miss Tri-County 2nd runner up is Danielle Epley, 1st runner up is Cheyenne Sidwell, and Miss Pana Tri-County and Miss Congeniality is Sheila Kennedy.